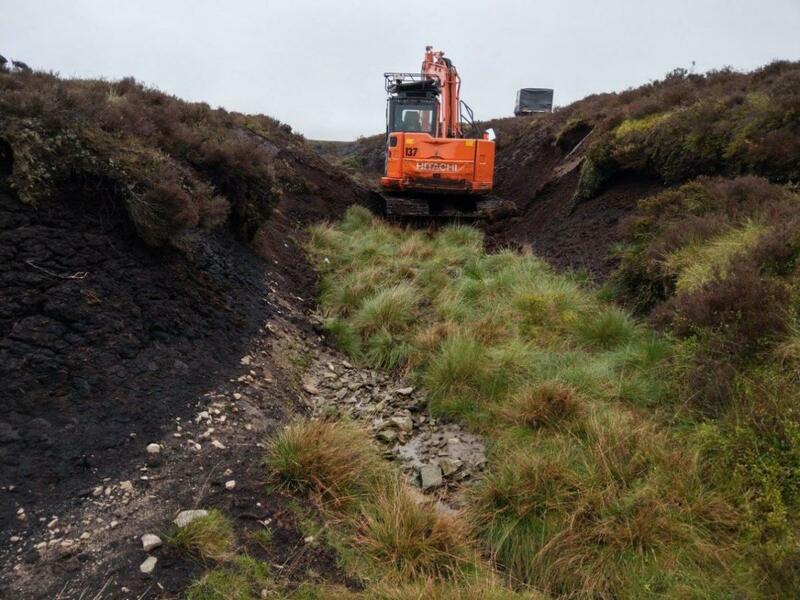 Contractors Conservefor began restoring 2600m of footpath in June 2018. Using a combination of techniques the well worn paths have been re-profiled and rerouted to reduce the erosion scar on the summit plateau leading to the Trig point. The cart track route has been re-profiled and stone water bars have been installed to divert water running down the path and shedding it before it can damage the path more. Along the full length of path restoration, moorland seed mix has been broadcast and has started colonise what was bare ground. As part of the Pendle Hill Summit project an artist has been commissioned to undertake work to create a contemporary 'Panorama' feature to celebrate the views from the trig point and stories of the hill in a permanent yet unobtrusive artwork. A community engagement programme to let people know what is happening and to engage them in conversation about the hill followed to inspire them to learn more about the landscape, heritage and stories of the hill, and to get involved in the activity. A dry stone wall Shelter built by a master craftsman, Phil Dolphin from the Dry Stone Walling Association has been built in the boundary wall between Downham and Barley, incorporating two step stiles. The ladder stile has been replaced by a new kissing gate and field gate allowing much easier access from one side of the hill to the other. Two days dry stone walling course has restored 10m of dry stone wall along the same boundary engaging 10 new volunteers. There are areas of bare and eroding peat on the summit of the hill, as well as deep and actively eroding gullies leading down across Barley Moor.